It’s time to hit the reset button! At Ambuja Yoga’s Nicaragua Yoga and Surfing retreat you will experience secluded beaches, rejuvenating yoga, epic surf breaks, & the best food in Nicaragua. All of the trip details you’ll find right here. Here are the answers to the most frequently asked questions about attending the Yoga & Surf Retreat. Please review these common questions before booking your trip. We might even answer questions you didn’t know you had. 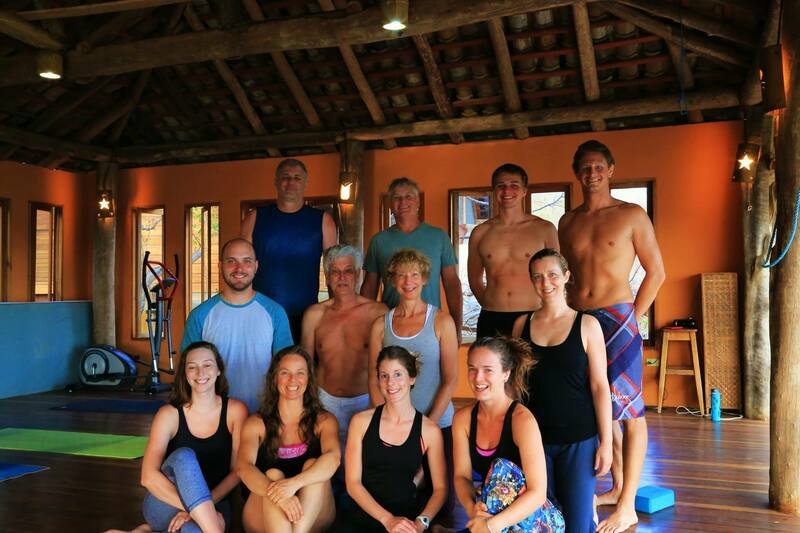 Reserve your space at Ambuja Yoga’s Yoga and Surf Retreat in San Juan del Sur, Nicaragua. Book by September 15, 2014 and receive $100 off of your package. Space is limited, so fill out the inquiry and reservation form soon. Registration is open for our March 5-12, 2016 Nicaragua Yoga and Surf Retreat. Escape the winter blues and join us for our 2016 Yoga and Surf Retreat in San Juan del Sur, Nicaragua. 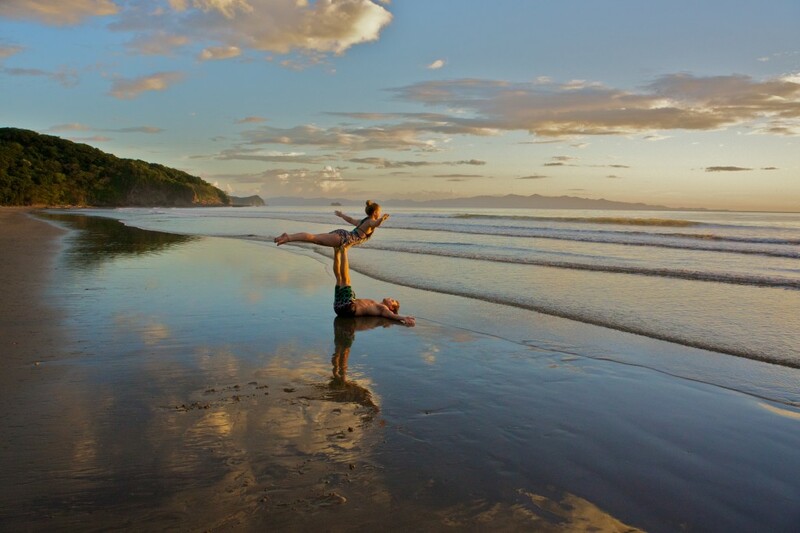 You will experience secluded beaches, a reinvigorating yoga, epic surf breaks, and the best food in Nicaragua! We are ecstatic to be hosting our Yoga and Surfing Retreat at Costa Dulce Beach Bungalows in San Juan del Sur, Nicaragua. This all-inclusive eco-retreat will allow you to fully step away from the outside world. Here you will find a beautiful tropical paradise that will rejuvenate your body, mind and spirit. 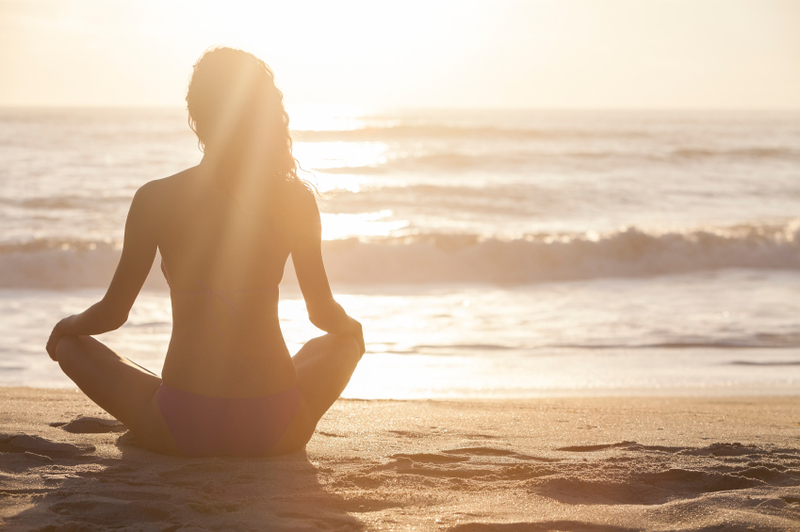 Let all your stress slip away as you enjoy twice daily yoga sessions, delicious healthy meals, and plenty of scheduled downtime to surf, read a good book, soak up the sun, and practice hammock asana. The winter season can be a bit tough on everyone… short days, gray skies and cold temps, which is why we scheduled this retreat for the end of February. You’ll step into spring feeling calm, well-balanced, and full of energy when you treat yourself to this amazing all-inclusive yoga retreat. 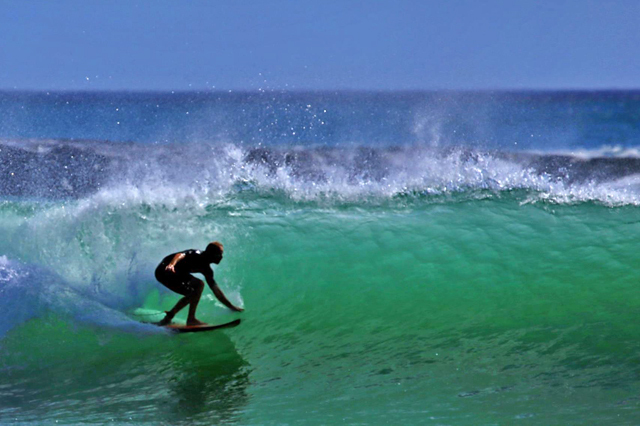 The Nicaragua Yoga and Surf Retreat will be hosted by Autumn Adams, RYT 200. Autumn is a certified Hatha Yoga Instructor living in Bend, Oregon. She currently teaches at Juniper Yoga, Max Fitness and the Broken Top Club in Bend, Oregon in addition to her projects with Ambuja Yoga. Ambuja Yoga, owned by Autumn Adams, specializes in Wedding Wellness Yoga Packages, Beginner’s Yoga Series and Local and International Retreats. Each yoga session we will focus on proper breath-work (pranayama) and alignment in asana. Our morning vinyasa classes will connect each movement with the breath: awakening the spine and creating energy for our day. You can expect to feel subtly challenged throughout your yoga practice as you explore new and familiar yoga asanas. Autumn’s sequences are designed to gently challenge each yogi, no matter their current ability level. For our afternoon sessions we will slow it down for a restorative flow followed by a gentle yin yoga practice. Your body and mind will be challenged as you delve deeper into the postures and create space and openness throughout your body. You will find a place in each asana where you can release tension and surrender to the sensations. A regular yoga practice reduces stress, increases flexibility and strength, normalizes blood pressure, boosts the immune system, increases confidence, and facilitates mindfulness and gratitude. Yoga can also help with migraines, arthritis and balance… so why not start now?! The surf break right out in front of the Bungalows at Playa Escameca can provide a fun ride for beginning to intermediate surfers, while nearby Playa Yankee will satisfy more advanced surfers. Check out the surf report for Playa Yankee on Magic Seaweed. Nicaragua has some of the best sunsets in the world, and what better way to enjoy them than with a cold Toña and new friends! Day-trip to Laguna de Apoyo, includes: lunch and use of kayaks, inner tubes, SUP and swimming dock. Alcoholic and non-alcoholic beverages available for purchase. Day-trip to Playa Remanso or San Juan del Sur: includes transportation and surf board rental. Meals, alcoholic and non-alcoholic beverages available for purchase. Book your retreat by December 1, 2015 and receive $100 off of your total price!!! Mornings will begin with 8:00 AM Vinyasa yoga to awaken the physical and energetic body. I know 8:00 AM may seem early, but more likely than not you will rise with the sun. Don’t worry, there will be coffee, tea, fruit, yogurt and granola available before the morning asana practice, and after yoga we will serve a full breakfast. The afternoon is yours to spend however you like, whether it be surfing lessons on the house break, relaxing in a hammock, or exploring the beach. It is also a great time to arrange additional excursions like fishing, snorkeling, a trip in to town, etc. A light lunch will be served mid-day. Dinner will follow shortly after the afternoon yoga sessions and after dinner you are free to hang out, tell stories, play games, or find a quiet place for meditation. Join our Facebook Community Page or the Ambuja Yoga page to see updated pics, news and deals!!! Can’t wait to see you there!!! A truly rejuvinating, and relaxing,experience. Autumn is so clear when she guides you through a movement. She thought of everything from beginning to end. We had an amazing venue and it married so well with the energy of our group and teacher. We enjoyed a hike with amazing mountain views (we were rewarded with a great lunch at the top), tons of yoga class time, plus time to relax and visit with others.. She provided special gift bags, which I thought was so thoughtful and a reflection of her generous nature. It was a great weekend and am really looking forward to next year! Autumn gives a lovely class!! She always encourages me to be safe with my body while promoting a gentle challenge for me. I feel empowered while she leads me in and out of postures. I really appreciate her inner warmth that radiates throughout her teaching, and the universal wisdom she shares through quotes and short readings in her classes. When I leave a session with Autumn, I feel strengthened and renewed - mind, body, and spirit. I'd encourage anyone looking for a great instructor to take one of her classes. Thanks Autumn!! !